Kik provides users with an all-inclusive environment so they don't have to go elsewhere to access the Internet. 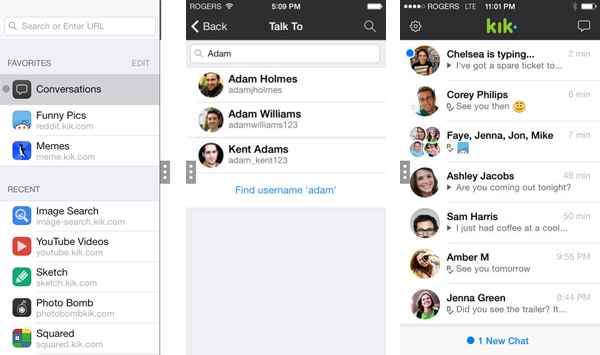 Kik instant messenger has been on a roll for the last few years. In April of 2012, the app reached 10 million users and topped the free social app charts the next month. In November of 2013, the service had reached 100 million users, and now it’s the first social app to have a built-in web browser. Given this massive growth, the service is interested in becoming the Twitter of messaging apps. The Kik mission statement is very telling for the direction of the company: “Kik was founded in 2009, when a small but incredibly passionate group of University of Waterloo students decided to build a company that would shift the center of computing from the PC to the phone.” Indeed, since its launch, many iterations from the company have been geared toward integrating the Internet experience into a single app, on a single device. According to Kik, there are websites that are being optimized for Kik, and the service’s sharing tools act as bookmarks for sites users share with their contacts. Users also connect with one another through usernames, so the service is unlike the family-tied Facebook, or the phone number-tied WhatsApp. By providing users with an all-inclusive environment, they’d rarely have to go elsewhere unless they wanted to access another social network. We’ve spent some time thinking about what it is that makes Kik unique, and why we are growing. We’ve been looking to hone in on why we are so different: essentially it is that Kik lets you chat with anyone. 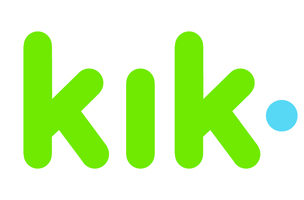 If you want to chat with anyone, we want Kik to be the one app to do that: We want to be the Twitter of chat. Given that Facebook recently acquired WhatsApp and Snapchat is rarely out of the news, Kik is well placed to capitalize on the desire for a messaging solution. Kik may not even need a buyout to make the big time. Given that its user base has quadrupled in 18 months, it’s ready for the big time all by itself.